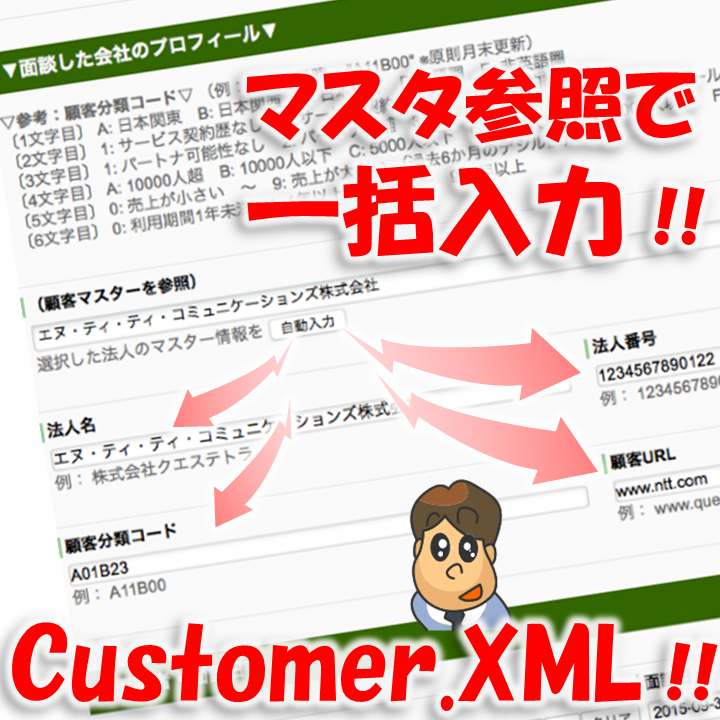 "Customer Master Data" (XML) that is utilized here, is the data that is managed in the entire Workflow platform. 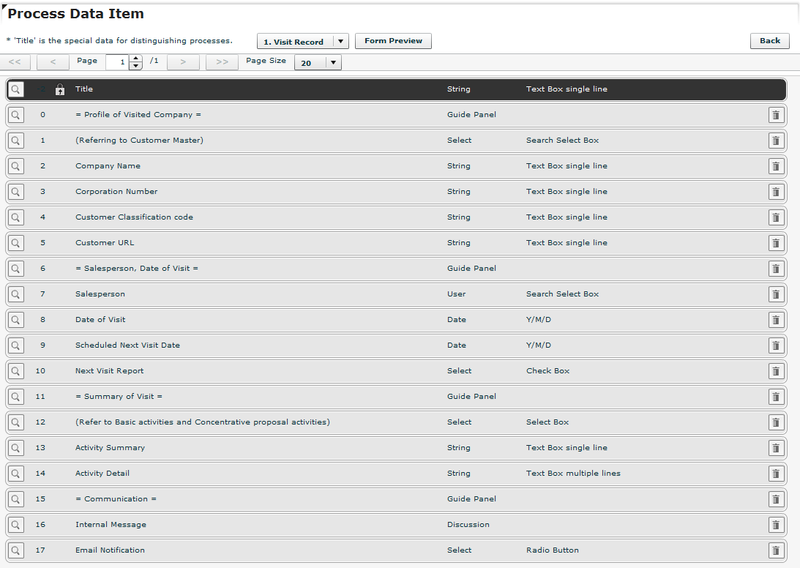 That means, the list is also utilized for "Estimate flow" or "Billing flow". 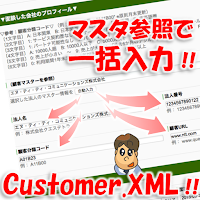 And the business of managing Customer Master (XML) is assumed to be existing separately. On the other hand, the list of "Basic activities and Concentrative proposal activities" can be referred only from this Workflow. 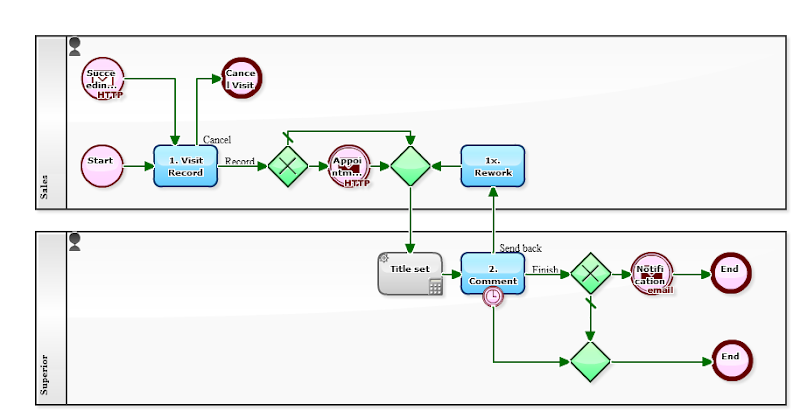 To realize the rapid record reporting, day-to-day maintenance would be required. Also, "immediate report" at the site will be realized if the reporting of activity overview to be completed simply by selecting an option.